1806, 1808-23, 1835, 1837-38, 1847, 1851, 1854. The Norman St Clears Castle was constructed in the twelfth century (the castle mound can still be seen) and the town, which was a Marcher Borough, grew around it. Below the castle there was a port on the river Tâf, which could take ships of up to 500 tons according to a plaque at the site. 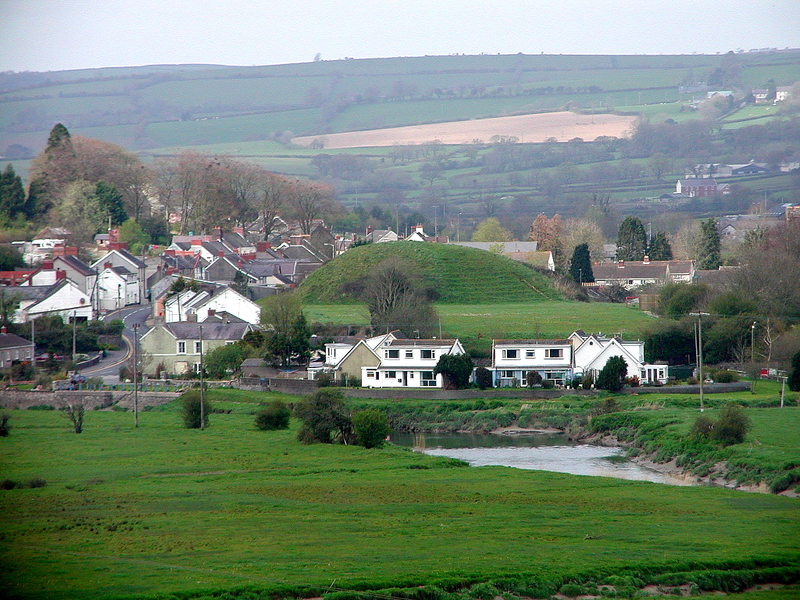 The castle held out against Owain Glyndŵr. The building of the railway was responsible for the decline of many of the small ports along the Bristol Channel coast, and St Clears was no exception. The railway passed about 2 miles north of the castle, and new building at the north end of the high street spread eastwards along Pentre Road, and then northwards again to the station. Pentre Road is now the main commercial centre of the town, and was formerly part of the A40 road until construction of the dual carriageway bypass.